MUNICH -- BMW Group's third-quarter profit rose 1.1 percent as demand for its SUVs propelled sales in Europe and China, offsetting a slump in the U.S.
Earnings before interest and taxes climbed to 2.38 billion euros ($2.64 billion) from 2.35 billion euros a year earlier, the automaker said today in a statement. Third-quarter profit at BMW's automotive unit fell 3.9 percent to 1.8 billion euros ($2 billion) as the company spends more on developing electric cars and self-driving technologies and struggles to sell luxury sedans in the U.S. where buyers prefer SUVs. The drop highlights the spending pressure BMW faces as it tries to compete with new entrants including Uber Technologies and Tesla Motors, while also developing new high-end vehicles that can better rival Mercedes-Benz's updated lineup, especially in the U.S.
BMW repeated its forecast that sales and pretax profit at its automotive unit will post "slight increases" in 2016. BMW, which is set to lose its crown as the world's best-selling luxury car brand this year, is trying to boost profitability by pushing its more expensive products. That strategy is paying off in Europe and China, where sales increases in the third quarter offset a slump in the U.S., where the company is struggling to produce enough SUVs at its factory in Spartanburg, South Carolina. BMW's slowdown comes as it tries to improve profitability in order to absorb the costs of developing new technologies, including electric cars and self-driving features. The automaker said the flat group profit was mainly attributable to higher personnel expenses as group staff increased by 3.6 percent, and due to changes in the model and regional sales mix for cars. 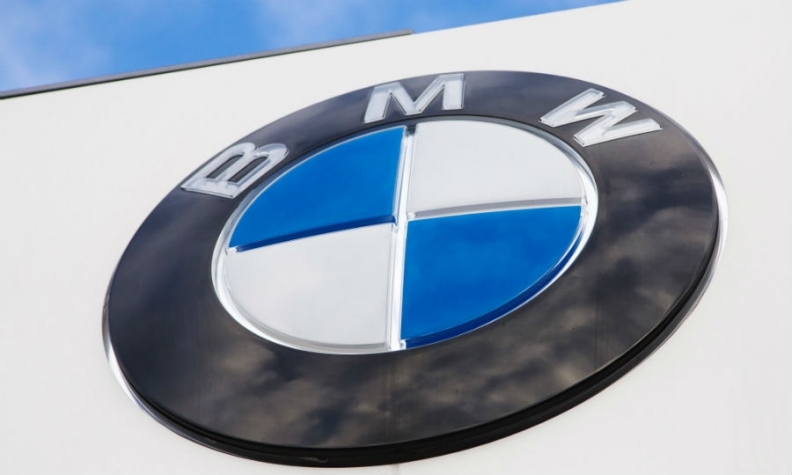 "BMW's operating profit result was slightly ahead of expectations because of hedging and currency effects, which are difficult to predict," Christian Ludwig, a Germany-based analyst at Bankhaus Lampe, said. "BMW's plans for more electric cars like the X3, due in 2020, seem a little behind their competitors." The rivalry with Mercedes is hurting BMW especially in the U.S., where the auto market is cooling after six consecutive years of sales gains, and buyers increasingly prefer SUVs as opposed to the sedans which are BMW's mainstay. Sales in the U.S. fell 8.7 percent in the first nine months, gained 10 percent in Europe and climbed 9.1 percent in Asia. BMW said sales conditions in the U.S., a market where sales of highly profitable SUVs have been strong, had become "volatile" in the third quarter. The company's U.S. struggles may be intensifying, after October sales for the namesake brand slumped 18 percent, driving down deliveries for the year through the first ten months by 9 percent. This contrasts with Mercedes and Audi reporting flat or slightly increases in sales. To meet the increased U.S. demand for SUVs, BMW has altered plans to boost production of models such as the X5 at its Spartanburg plant. BMW's results come after Daimler reported a 10 percent rise in in third-quarter operating profit and Volkswagen Group's luxury Audi unit cut its outlook amid rising costs related to the emissions cheating. BMW's return on sales from carmaking was 8.5 percent, compared with 9.1 percent in the same quarter last year. That compares with a profit margin of 11.4 percent for Mercedes. BMW stuck to its forecast that the margin in 2016 will be between 8 percent and 10 percent. Global sales of BMW’s namesake marque rose 6 percent in the year through September to 1.48 million vehicles, growing at only half the rate of Mercedes, according to data published in October.